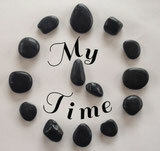 My Time is a haven in which you can relax, rewind and rejuvenate your body and mind. Take a break for your stressful daily routine and come join us for one of our many treatments. With 3 beauty rooms, 4 hair stations, manicure station and pedicure station there is sure to be a perfect treatment for you. Brand new, state of the art twisted collagen red and blue light tubes lay down sunbeds. Creams and accelerators available from £1.